For the rapid examination of spectral composition of white light, metal tube with draw out focusing and an adjustable slit fitted with achromatic objective glass and 3 element prism. Complete in wooden box. The expression CMS provides essential information quickly and improves the chemist’s workflow. Modern organic labs have become automated, yet real-time mass assays remain just out of reach — the expression CMS solves this at an affordable price. 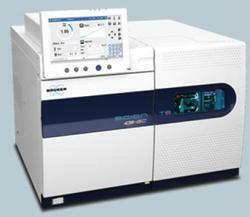 We are engaged in offering a very highly premium range of Mass Spectrometer. Our range is huge in demand and available at market most leading prices. Our QSight™ Triple Quad delivers the high sensitivity and reliability need from a triple quadrupole. High Performance Ion Source provides extended operation and lifetime of the dual filament which ensures improved performance and is protected by an electron lens. - Wide mass range from 1.5 amu to 900 amu. 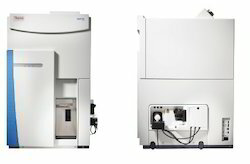 The smartest mass spec designed just for Chemists ! YL9900 MS quickly provides essential information and improves the chemist's workflow. Modern organic labs have become automated, yet real-time mass assays remain just out of reach. Our state-of-the-art laboratory is equipped with the sophisticated analytical instrument provide testing and training services to the students and the working professionals.